There is the BIG 2012 approaching us all. You and me both have a New chance to create history. How are you going to create history? What did you do in this past year that WILL be remembered? My daughter went from Nursery to Junior K.G. and to Senior K.G. in such a short span! I helped, counseled and healed countless souls. Wrote literally millions of words and learned lessons that will last me a lifetime. I discovered that even in the most trying times, I was never alone. The Divine love was always with me, supporting me and making me stronger. Moved to the Big City of Mumbai, after literally 30 years of being away. The change was major, but am now able to silence the constant hustle bustle around me. Inside peace is all that matters. Its not that there were no ‘low’ moments. Infact there were many, but the eternal optimist in me chooses to look and focus on the positive. Successfully counseled and healed 1240 beautiful souls through online counseling. The Positive Provocations Facebook community grew by 10 folds. Currently 1557 beautiful people “like” it. Learned a bit of CSS code to spruce up the blog= fonts colors and all 🙂 ~ Shout out to Loving Sandra for all her help and support. Just last week received the TOP 50 PERSONAL DEVELOPMENT BLOG OF 2011 AWARD from Steven of Change Your Thoughts. Thank you awesome Steven! 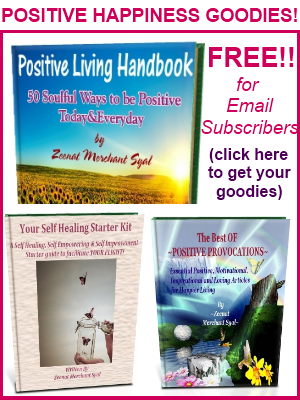 We will ring in the new year with the POSITIVE LIVING HANDBOOK-50 Soulful Ways to be Positive Today & Everyday for all the Email Subscribers. Sign up here to get your copy in your Inbox on 1st Jan 2012. The start of a new column- Heart Centered Blogging because everyday I recieve countless emails about how I have created and grown this blog in the past 3 years. In this column I’ll share my simple blogging/writing experiences. A New page on ‘Healing’ coming soon! Being a Holistic healer as well, I’m going to start offering online Healings to all those who need it. Details about which will be on the “healing” page that will be published on the 1st of Jan 2012 too! More guest authors will be sharing their positivity and knowledge here for your constant growth and evolution in the coming year. And ofcourse MORE tips and ways to heal and fill your life with positivity, love and happiness! As I take a nostalgic look back at 2011, I dont have any regrets. I have had up and downs this past year, but each experience had made me learn a new life lesson. These experiences in turn have helped me understand myself and the world around me in a new light. As you all know I offer counseling online via skype(paid), email and chat(free). I’m adding ‘spiritual healings’ to this too now. As I mentioned earlier there will be a new “healings” page that will have the details of how you can avail this service from me in future. But, for now as my NEW YEAR Gift to YOU…I’m offering 2 free spiritual healing and counseling sessions for January 2012. This simply means 2 beautiful souls will receive these session absolutely free. The counseling and spiritual healing sessions will help you to gain clarity in thoughts and actions while giving you the opportunity to share your deepest fears and issues with me. The sessions will be completely private and your thoughts will remain between the two of us only. Counseling provides a safe space to explore your emotions and find new ways of looking at your life. In a confidential environment you can express your feelings without fear of judgment. This involves helping people explore their inner stuck places, such as that which motivates a particular behavior or thought, or how we come to believe what we believe, especially if that thought or belief produces unhappiness in us. Occasionally, we may feel a feeling that we don’t know how to cope with, or we possess a painful emotion that doesn’t seem to go away, no matter what we do. Spiritual Healing is the restoration of wholeness or wellness to one’s experience. It is recognizing, accepting, and realizing the atmosphere of The Divine, or the perfect spiritual idea of being, in the individual. It removes the toxins of distorted self-acceptance that appear to have separated the person from wholeness. The combined approach of counseling and spiritual healing helps you immensely in your current situation and also in healing past emotional wounds. How you can take part in this Free Spiritual Healing & Counseling Contest? Leave a comment below, stating your interest in receiving this Counseling and Healing. If you want to state the reason for the same, you can do so too. But I would prefer you share the reason with me either by email or by a message on facebook as it would be more private. “LIKE” and become part of the Positive Provocations facebook community page and share your beautiful self there. I would love to get to know you better. Thats all you have to do to. The winner of this contest will be announced on the 1st of January 2012 with the launch of THE POSITIVE LIVING HANDBOOK! This contest is my little way of giving you a new year gift of healing and prosperous health. May your new year be filled with love, happiness and abundance. My Wish for you: Lets look to the future. Lets plan happy days and nights. Lets fill each waking moment with laughter and joy. As you look to the future, Know that right now, in this very moment you are Creating a future with your thoughts and actions. Every new moment is a new chance to create history….simply moment by moment and day by day. My special heartfelt gratitude to TimeThief, Sandra Pawula, Joy Holland, Evita Ochel, Robin Easton, Angela Artemis, Jonathan Wells, Steven Aitchison, Stephen Borgman, Farnoosh Brock & Invisible Mikey… among many others who have been loving and supportive beyond words this past year. May our connections grow and grow and grow 🙂 Love you all! Loving Seasons Greetings to all!! What are your thoughts on this topic? How are you planning to ring in the new year? What are your plans for the coming 2012? Wow! What a fireball of positive energy you have unleashed in this article! I’m happy to be part of the stream. 🙂 Thanks for your loving mention. I love supporting each other on our blogging journey. And I’m very excited to see your new entries on heart-centered blogging. 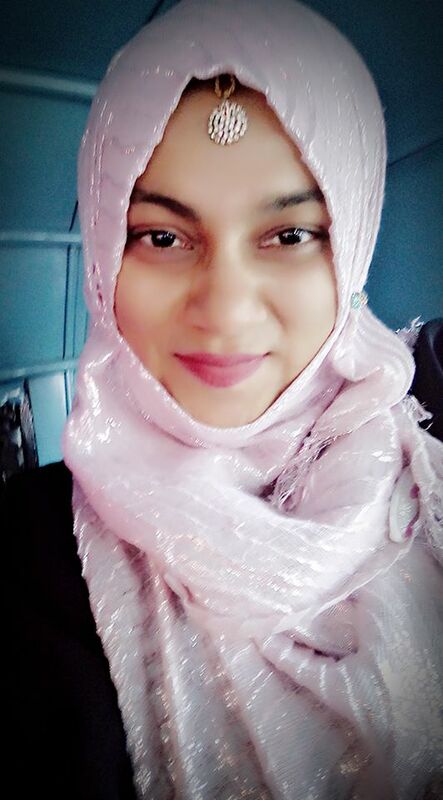 Zeenat, I was so moved when I read: “Which means I only speak where absolutely necessary, all other times I quietly pray.” Not because I’ve ever thought of you as a chatter box, but because this again reveals the depth of your understanding and wisdom. I’m super happy that you and me have both connected to deeper levels this past year. I’m more than just grateful….for this connection and what you make me understand with every interaction we share. May you and me both heal and heal…and heal many more int he process of doing so. Seasons greetings and lots of love coming your way! I’m so glad you have been helped and it has been my pleasure and honor to help you heal positively. May the coming year bring you closer and closer to your truest self. Merry Christmas and lots of love to you too darling! I would love to offer you a spiritual healing dear one. Consider yourself marked and well on the way to spiritual happiness 🙂 I’ll be messaging you soon! What a magnificent post and a magnificent year you’ve had! I’m honored to call you a friend and it is my pleasure to help and support you anyway I can! Wishing tons more success in 2012! Oh I’m so so happy and honored to have you as a friend too! I dont know how effortlessly this year blog wise, went very well. I didnt take any pressure and went with the flow. May you and me and everyone else have a fabulous 2012! i cant wait for the year to begin with a blast. I look forward to a lot more happy interactions with you. Your year has been so productive that reading that list of accomplishments humbles me. I’m so honored to be mentioned as I am inspired by your blog and to learn so much from it. I have likewise been through ups and downs this year but like you I have no regrets. You are indeed a very special friend, and as I look towards the new year I’m greateful for your reminder that we are creating our future with our thoughts. May love and peace fill our hearts and may we spread the infection of love and laughter throughout the wordl in 2012. You have been my light this past year. Be it blogging or personal development…I have learned from you more than you can ever imagine. Thank You! Its what you have taught me, that has made me the blogger I am here today. You are my inspiration to start the “heart centered blogging’ column. I hope I will be able to do justice with it. Thank you for being such a special light in my life. I know you have had your ups and downs this past year….these life experiences make us who we are. Love, peace and immense prosperity to you now and for the coming year. I sincerely enjoyed reading about your success in this post. 2012 feels indeed very big and I’m all excited about what I’ll be able to create next year. Seasons greetings and much love to you. I am so glad you are part of my life, my soul sister and I look forward to supporting you in 2012 with love peace and joy. I will also put my hat in the ring for your spiritual healing- very timely for me given my current healing journey that is taking me on a new path in 2012 I think. Oh you make me blush!! Thank you for your kind words…we really are soul sisters! I am so happy you are part of the new positive living handbook! I shall no longer be a lurker, as I feel it is now my time to say thank you for all you provide and for this generous offer. I feel I have waited over 4 years to have such an opportunity placed before me. I have daily sought release of the fear, sadness, anxiety, anger and hate that is inside me for being bullied by the legal system. I merely protected my daughter, to give her the opportunity to tell her story. That was 4 years ago. She was 5. Yet today I still carry all this negativity with me, like an albatross. My journey continues daily. Possibly 2012 will be my year to release and experience a new way to live. Sara Darling….You are the winner of this contest!!! I was thoroughly moved by your story dearest…I’ll be emailing you soon. You are a very very brave soul!